Recycling and Waste Solutions provides the nation’s largest supply chains with innovative managed solutions for Commodity Recycling and Waste Services that reduce cost, drive commodity revenue and improve overall services through flawless execution. Managing thousands of locations with hundreds of thousands of work order requests takes proven tools and dedicated resources. RWS knows the full corporate value of sustainable environmental and economic waste solutions. entities and corporations in North America. RWS provides excellent service, equipment and pricing for high volume generators of scrap commodities. RWS delivers on-time waste services nationwide to retailers, restaurants and manufacturers at a low cost to serve model for national companies. Equipment selection, installation and service for 100 or 1000 locations with financing options including rentals and leasing. RWS offers brand protection for large national obsolete product destruction projects. 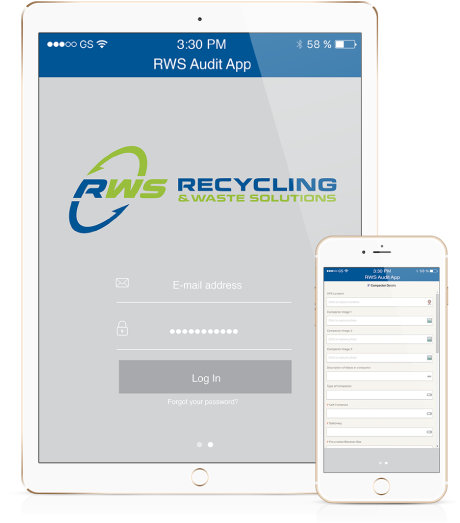 The nations largest supply chains turn to RWS to manage large multi-state recycling and waste service projects that require on-time service and flawless execution. RWS has the technology that drives savings through freight optimization, waste reduction and identifying commodity market revenue opportunities. If you have any questions or comments feel free to call or contact us.